An important part of our Strategic Plan is to continuously solicit feedback from educators, to ensure our support remains relevant. This year we started a Teacher Advisory Board to do just that. Three times a year we invite one teacher from each school to join us for dinner and discussion. This has proven to be a great way for the Foundation to receive feedback from teachers at all schools about what they need in order to provide excellent education in our schools. This feedback allows us to stay relevant in our support for teachers, staff, students and school facilities. It also gives us an opportunity to say thank you to our teachers and let them know that they are heard and appreciated. At the beginning of the school year, each school was asked to provide several names of teachers to serve on the advisory board. In some cases teachers were nominated by the principal, in others they volunteered. Either way, we wanted the teachers to feel like it is an honor to serve on this board. 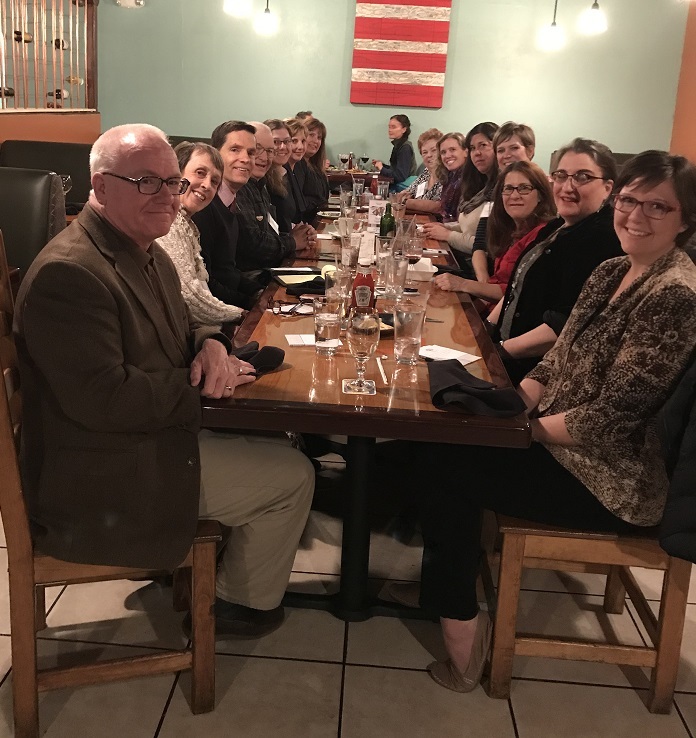 The LAPS Foundation arranges the meetings over dinner at a local restaurant, and it buys dinner for all the teachers who attend. An additional and unexpected benefit has been that the LAPS Foundation can support local businesses in the community, as we rotate restaurants each time to spread around our business. The response so far from teachers has been overwhelmingly positive. We have heard multiple times that they appreciate being recognized, thanked and especially heard. With the ratio of teachers to LAPS Foundation board members at roughly 2:1, we are really able to give our full attention to the teachers and take in their valuable feedback. So far we have had two such dinners. The third will take place in early May. With the feedback we have received from the teachers, our board will adjust the ways in which the LAPS Foundation supports our schools. We look forward to continuing this program again in the next school year! Previous Previous post: Now Accepting Grant Applications!